Former Arsenal attacker Charlie Nicholas has claimed that Manchester United boss Jose Mourinho does not have full faith in the trio of Chris Smalling, Phil Jones and Victor Lindelof. Manchester United have enjoyed a very positive start to their Premier League campaign so far and following the 1-0 victory over Tottenham Hotspur during the weekend, the Red Devils have kept pace with leaders Manchester City at the top of the table. One of the main reasons behind Manchester United’s fine start to the campaign has been their strong showing in defence as they have kept 8 clean sheets in their 10 matches so far and the likes of Phil Jones, Chris Smalling and Eric Bailly have all contributed in helping the Red Devils keep things tight at the back. Despite such a fine defensive record though, former Arsenal star Charlie Nicholas does not think that Manchester United manager Jose Mourinho trusts the likes of Jones, Smalling and Victor Lindelof, and has stated that the Portuguese manager still has reservations about his central defenders. Speaking to Sky Sports, Nicholas claimed, “How many times have we had this discussion? 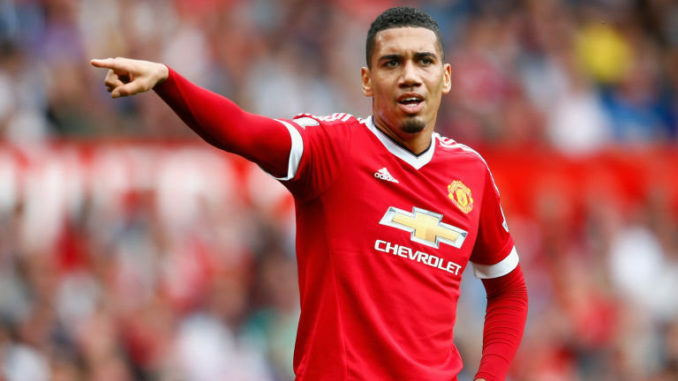 Ever since Mourinho got there, he doesn’t trust Smalling.